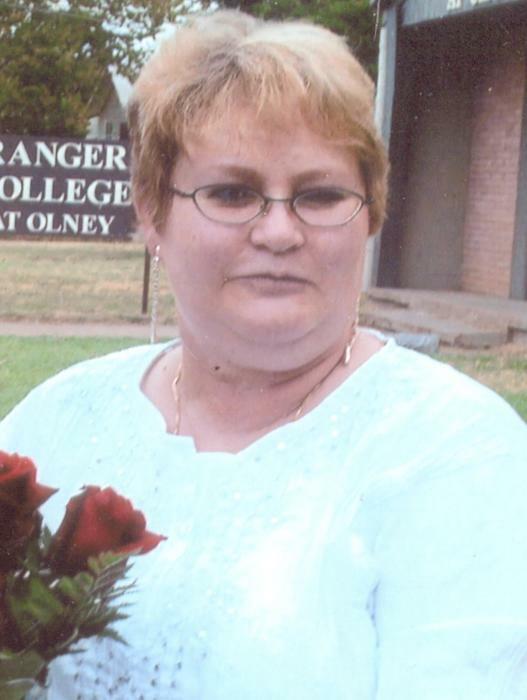 Caren J. Hearne, 64, passed away Friday April 12, 2019 in Olney. A Graveside funeral will be Monday, April 15, 2019 at 2:00 p.m. in Loving Cemetery. Arrangements are under the direction of Morrison Funeral Home. Caren was born September 8, 1954 in Levelland, Texas to the late Jerry and June (Sanders) Johnson. Caren had a passion for music, she played several instruments and loved to sing. She moved to Nashville, Tennessee in the early 1980's to pursue her dream of being a singer. She wrote several songs and poems. Caren was passionate about her family and animals, she was a dog groomer for several years. She was a longtime resident of Olney and a member of Hamilton Street Church of Christ in Olney. She married Ray Hearne, October 8, 1989 in Olney. Caren was a former teller at Olney Savings. Survivors; husband, Ray Hearne of Olney; daughter, Kalana Horton and husband Mark of Roanoake; sister, Cindy Turner and husband Ricky of Olney; brother, Ronnie Johnson of Olney; grandsons, Dylan, Camron, and Austin Horton; step-daughters, Diane Day of Seymour, Julie Cantu of Stamford, and Tammy Hearne of Haskell; several step-grand children and step-great grandchildren; several nieces and nephews also survive. Caren was preceded in death by a sister, Pam Johnson and a brother, Wayne Johnson.